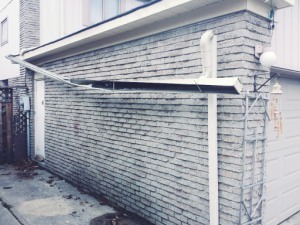 Whether it’s gutter Repairs or eavestrough Installation or eavestrough Cleaning, We Fix it all. We can take care of your needs. We’ve been around for over 10 years and our company is locally owned and operated in Richmond Hill and Toronto, Ontario. We are dedicated to providing the best customer service and quality work in the industry. We specialize in handling all of your Rain gutter needs for residential, commercial and industrial facilities. Our experienced prompt service, Free estimates, and 24–hour emergency. all Eavestrough cleaning jobs in Woodbridge, Vaughan, Richmond Hill, Aurora, Markham, York Region & other GTA Areas. Our company is proud to serve you. We are one of the well known Eavestrough Cleaners in Richmond Hill and Uptown Toronto. 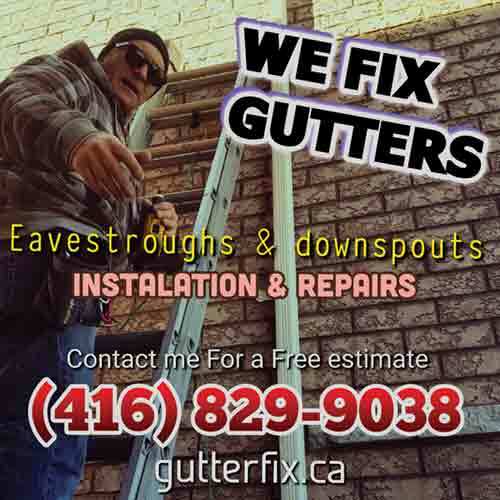 We specialize in all kinds of eavestrough and Downspouts repair problems in Greater Toronto Area. We analyze and assess eavestrough and Downspouts problems issues. make a plan and fix it! We specialize in repairing all 4, 5 & 6 inch aluminium gutter systems. 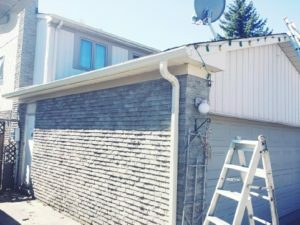 All of our repair services are 100% Guaranteed in writing as well prior to any installation or repair one of our trained technicians will conduct a complete eavestrough inspection. If you have severe damage or water entering through your roofline or basement due to your rainware system, we specialize in emergency repair!